According to the university’s bulletin issued on Monday, the promotion is the highest ever in a single exercise since the establishment of the university 43 years ago. It stated that the promotion cut across all cadres of the university’s workforce. The publication said the promotion was the outcome of the 162nd Meeting of the Appointment and Promotion Committee for Senior Staff and the 83rd Meeting of the Junior Staff Appointments and Promotions Committee held on Sept. 10, 2018 and Aug. 3, 2018 respectively. 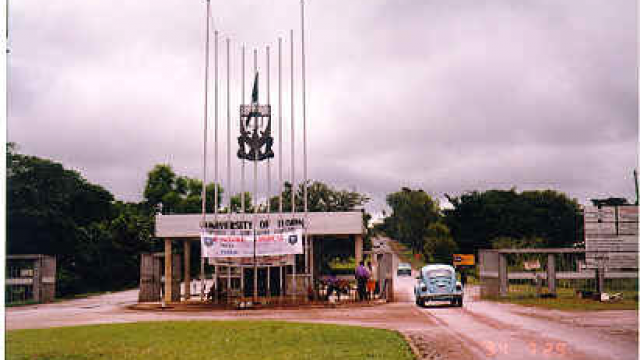 “Those promoted include 248 academic staff, 132 registry staff, 287 professional and technical staff, 26 staff of the University Staff School and 326 junior staff,’’ it said. The report stated that of the 248 academic staff promoted, 49 were lifted to the Professorial cadre while 31 became Readers and Associate Professors. The bulletin noted that 41 were promoted from the rank of Lecturer I to Senior Lecturer; 61 of them advanced from Lecturer II to Lecturer I, while 66 were promoted from the rank of Assistant Lecturer to Lecturer II. It said the Faculties of Clinical Sciences and Communication and Information Sciences (CIS) took the lead in the number of new Senior Lecturers with seven each. It also said the staff of the Faculties of Life Science, Education and Arts dominated those that moved from Lecturer II to Lecturer I cadre with 14, 12 and eight respectively. Other members of staff promoted were in the Administrative cadre, the Registry, Secretarial cadre, Directorate of Corporate Affairs, Senior Clerical Officers, Senior Craftsmen, Patrol Supervisors and Drivers, among others.